Meet the people who will make the magic happen at the conference and help you elevate your business or a simple idea to the next level! Taavi is former Estonian government Chief Information Officer (CIO), named European CIO of the Year 2014. He started his career as a programmer, rising to be the founder of the largest software development companies in the region, Nortal. As an engineer, he has been the brainpower behind many Estonian e-government innovative initiatives like e-residency, data embassies, country in the cloud, no-legacy policies, VAT fraud detection etc. Helen is the founder of the largest annual new music and city festival in the Nordics – Tallinn Music Week. She is an active citizen, and strong believer in creativity, equality, diversity and opportunities for all. For her contribution into the culture and society of Estonia, she was named the Citizen of the Year in 2015. Yemi regularly collaborates with corporations, governments, non-profit organisations and individual leaders. 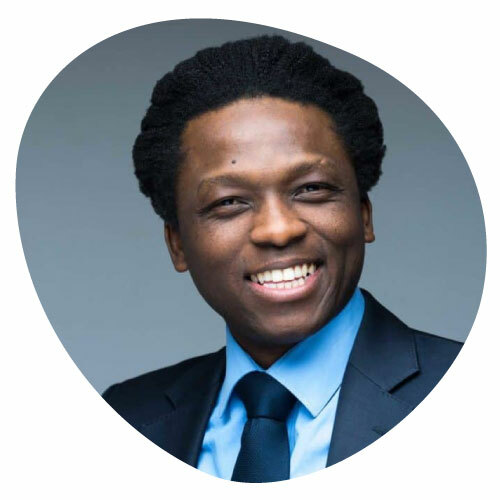 A former Director and Deputy Head of Africa at the World Economic Forum, Yemi diversified the organisation’s operations and created a pan-African Community of Presidents, Ministers, CEOs and other leaders across sectors, interacting on the global agenda. From a student company to an entrepreneur – Jack is continuously developing an e-commerce platform for JA. It is designed to help student companies take their first steps into e-commerce. He will share how his entrepreneurial journey has changed him, the company and how they are impacting JA companies in several countries. Alejandro is a real entrepreneur at heart. He has founded a record label, a monthly party in London and a digital magazine, co-founded and travelled the world with the world-famous nomadic creative studio The Pop Up Agency. His latest business project, Triggers cards, makes ideation and brainstorming sessions fun and productive. Asheesh is a lifelong social innovator with a passion for entrepreneurship. Early in his career, Asheesh founded CircleLending, which pioneered the business of managing peer-to-peer loans within social networks and was acquired by Richard Branson's Virgin Group in 2007. Outside of his entrepreneurial activities, Asheesh has served as a corporate executive, magazine columnist, author of business books and active member of non-profit boards. Maurice is a serial entrepreneur and philanthropist who has fused these two strands of his career in building Entrepreneurial Giving, a community to encourage values driven entrepreneurship. He created the biggest supplier of ice cream to the aviation industry as well as developing new methods for airline catering now being used around the world. He then ran a London Stock Exchange listed company, and founded an award winning charitable foundation with his wife Katy. They also work together in running the world’s largest supplier of Blue Topaz gemstones. Tobias is an energetic, open minded innovation and strategy analyst. He was one of the founders of the German JA Alumni network, and has contributed to the beginning of JA Alumni Europe network. Larry C. Farrell founded The Farrell Company, a global firm that has trained more than six million people in entrepreneurship at universities, companies and in government projects. His company has served clients ranging from IBM, American Express, Citibank, and Coca-Cola to the Confederation of Indian Industry, Africa Partnership for Economic Development, and China Vocational Education Association. His latest book, The Entrepreneurial Attitude, includes interviews with seventy high-profile JA alumni around the world. Indrek has a diverse set of qualities. Except his profound technological and technical competences, some of the ones that stand out are his capacity to keep focus on targets and persistence in achieving company goals, while he recognises the role that a good team plays in every success. Today he is leading Cleveron software development teams and changes the world by last mile parcel delivery automation solutions. Growing up in rural India, Mehak always dreamed of traveling the world. A believer in 'everything you can imagine is real', she shaped her life to make her dreams a reality. Today, having lived across 3 continents, she spearheads customer engagement for the Prime Video Digital Store in Germany. Mehak will share how she made bold life-changing decisions in the face of risk and fear. Sten has been a tech entrepreneur since 1996. After founding a few companies in Estonia, he joined Skype as an early executive, ran the original R&D office, and held several global product leadership roles for 8+ years. These days, Sten is the Chief Product Officer at Topia, the technology leader for global mobility management. In 2012, she turned her passion for testing software into a business. In 2017, she was named the youngest millionaire in Estonia. These days, she’s running Testlio from their headquarters in San Francisco. Some of Testlio’s customers are Microsoft, Lyft, the NBA, and Hotels.com, to name a few. And while they operate in a male-dominated business, she’s proud to say that half of her team are women or minorities. Having previously worked as a digital strategist and communication officer of the former French President François Hollande, he is now sharing the story behind Estonia’s contribution to the world. A famous speaker and business mentor in the region, he has advised several successful startups and is a lecturer at Estonian universities. At CREATE conference, Yrjö will hold the Business Model Innovation session. The digital innovation manager at the Baltics’ largest marketing and communications agency IDEA, will show us how to generate new and innovative ideas. Probably the youngest speaker at JA Alumni Europe conference ever – the 12-year-old founder of Gusmath, a Youtube channel about math and science. Ricardo, besides being the chairman of JA Alumni Honoris, is also passionate about business and has been involved in the development of several business ideas over the years. He is currently sharing his time between two companies operating in the marketing field: turnU and Wipanto. Right now, Marius is sharing his time between two passions: Airtame and the search for fulfilling experiences in life. Airtame is an exciting startup that brings together several devices in one, making streaming possible from all devices. It raised $1.26 million on Indiegogo from more than 12,000 funders from 88 countries and was rewarded "Best Startup" at CES 2014 in Las Vegas by Engadget. Stay tuned – more speakers will be announced soon! Meet the local companies you'll be able to visit and learn from during the conference.